Be it cricket, politics or entertainment, his enchanting personality has wooed the Indian audience for years now. No brownie points for guessing, Mr.Navjot Singh Sidhu is one person who has been remarkable in every field he chose to venture. Born and bought up in a Sikh family in Patiala, he went to Yadavindra Public School. He started his career with cricket and in this cricketing career from 1983 to 1999; he saw many ups and downs. His pathetic performances were making articles like one published in India Express ‘Sidhu: The Stroke less Wonder” written by a noted cricket columnist, Rajan Bala. This criticizing article gave Sidhu, a focus and motive and consequently he geared up his performances. With a mind blowing performance in 1987 world cup, the same columnist wrote an article ‘Sidhu: From Stroke less Wonder to A Palm-Grove Hitler’ praising his performance. After this there was no looking back and he took his cricket to new heights. One of the most remarkable performances of Sidhu in Tests was his 201 against West-Indies in 1996-97, a defiant knock lasting seven hours. After he waved goodbye to all forms of cricket in 1999, he took to commentary and worked as a commentator for takes his castle sport when India toured Sri Lanka in 2001. He later joined ESPN-Star sports and when sacked from ESPN for swearing on-air, he joined TEN Sports. In 2012 he returned to ESPN star sports and today is a famous Hindi commentator. 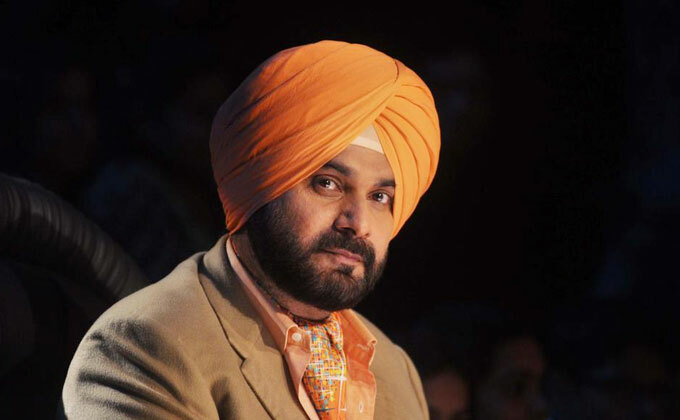 Navjot Singh Sidhu has a nerve for exploring new arenas in life or at work, for the same reason he started working on television with hosting famous shows like ‘The Great Indian Laughter Challenge’ , appeared as a “Big Boos’ contestant, a reality show and currently appears on another famous laughter show ‘ Comedy Night with Kapil’. He has always been loved by Indian audience for his undying positive attitude which reflected in his one-liners during his commentary carrier which got famous as ‘Sidhuisim’ and on television shows as ‘sher-o-shyari’. Navjot Singh Sidhu is also a prominent face of Indian politics as he was elected to the Lok Sabha as the member from Amritsar in 2004 on a Bharatiya Janata Party ticket. All his ups and down in his cricketing career or his personal lives are never reflected in his personality. He lives life with positive attitude, spread happiness through his words of wisdom and take challenges with open arms.